Startrackscommand.com is serious about protecting your online privacy. This Privacy Statement explains our views and practices concerning privacy, and how they may pertain to you as a user of our system. "You" or "Your" means you as a participant in or as a user of the Startrackscommand.com program. "We" or "Our" or "Us" means Startrackscommand.com. "Our site" means Startrackscommand.com. All information transmitted, printed or otherwise submitted to Startrackscommand.com via this website shall be deemed to be the property of Startrackscommand.com and Startrackscommand.com shall be free to use such information for any lawful purpose as detailed herein. 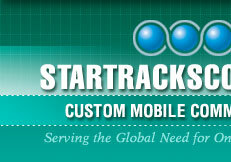 (4) the e-mail addresses of visitors that communicate with Startrackscommand.com via e-mail. If you choose to provide personal information, it will be used for the following purposes: (1) considering you for a Startrackscommand.com account, (2) sharing of your information with trusted third parties such as credit bureaus and or other financial services providers, (3) as required by law and (4) for marketing products and services which we determine, in our sole judgment, that you might find of interest. We reserve the right to share, rent, sell, or otherwise disclose data we collect to third parties. Any third party we share, rent, sell, or otherwise disclose data to will be carefully prescreened by us, determined by us to be reputable, and will use the personal data for marketing products and services which we determine, in our sole judgment, that you might find of interest. You may opt-out of receiving communications from us and or our partners by not submitting your information. We also allow you to remove your information from our database. If you remove your information from our database it will no longer be used by us for secondary purposes, disclosed to third parties, or used by us or third parties to send promotional correspondence to you. You can remove your information by sending your request in writing via email to: sales@startracks.org. 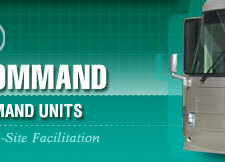 Upon request via postal mail or e-mail, we will provide you a summary of personal information retained by us. We will only send your personal records to your e-mail address or postal address we have on file for you. You may modify, correct, change, or update your personal record or remove your personal record from our database by sending your request in writing via email to: sales@startracks.org. The information and services provided to us or our affiliates, sponsors, and advertisers are not intended to be viewed by children (under 18 years old). No information collected from children is knowingly used for any marketing or promotional purposes whatsoever, either inside or outside Startrackscommand.com. If you have any questions about this privacy statement, the practices of this site, or your dealings with this website, you can contact us via email sent to: sales@startracks.org. 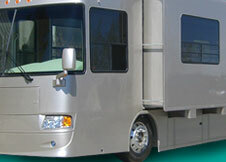 Startrackscommand.com understands consumers' concerns over the use of their personal information. We hope this information will relieve any concerns your company may have regarding our email policies. Startrackscommand.com and its affiliated sites use only an "opt-in or opt out" method of obtaining customer information, and it is not our policy to send unsolicited email. We obtain email addresses and personal information from third parties that follow the same set of policies. From time to time, Startrackscommand.com will enter into an arrangement with a third party website to allow individuals to opt into our marketing program on those third party websites. In each case the third party websites have represented and warranted to us, among other things, (1) that the data was collected voluntarily from individuals on website registrations and co-registrations, (2) that the sellers have a right, under any applicable privacy statements, to transfer the data to us, and (3) that Startrackscommand.com has the right to send marketing offers to the individuals. We hope this information satisfies any questions or concerns you may have regarding the email practices of Startrackscommand.com. If you have additional questions or wish to discuss this matter further, please contact us at: sales@startracks.org.